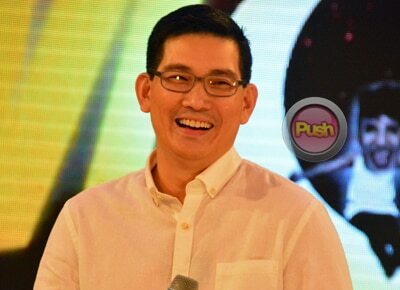 Richard Yap believes that Jodi Sta. Maria will successfully portray the iconic character. Vice commended Richard’s performance in the movie and shared that the Be Careful With My Heart star has a great sense of humor. “Ang galing ni Richard, abangan niyo nakakatawa siya. Hindi niya alam na nakakatawa siya. Kami ni direk Wenn (Deramas) tawa lang kami ng tawa sabi ko kay direk Wenn kinakabahan ako kasi baka matapos ‘tong pelikula mas nakakatawa sa akin si Richard kasi nakakatawa talaga siya, walang effort,” the comedian said. Richard was also asked about his reaction to BCWMH co-star Jodi Sta. Maria’s upcoming portrayal of Amor Powers in Pangako Sa ’yo. Despite such a big departure from the character of Maya, the actor believes that Jodi will portray it very well. “Oo nga eh it’s just a very different role from her being Maya so well I know Jodi can pull it off, she can be anyone who she wants to be eh. Ang galing ni Jodi so I don’t think it's a problem,” he commented.